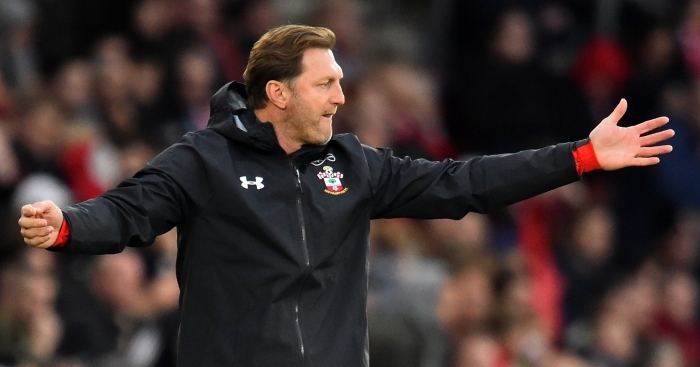 Home F365 Features What exactly has Hasenhuttl changed at Southampton? 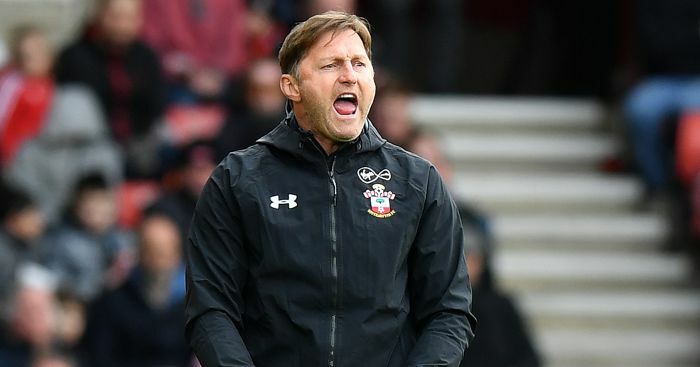 What exactly has Hasenhuttl changed at Southampton? We’re ten games into the Ralph Hasenhüttl Era at Southampton, and supporters couldn’t be happier. When he arrived, the Saints were headed straight for the Championship, with only nine points in 15 matches. With the Austrian in charge, it’s been almost the exact reverse, 15 points in ten. That’s way above relegation form, and that run includes games against Manchester City, Chelsea and Arsenal. Although they’re by no means safe yet, you won’t find anyone tipping them for the drop, and a win this Saturday home to Cardiff City would put them five points clear and rising. So in a very short time Hasenhüttl has turned things around completely, befitting his reputation as one of the best young coaches in Europe. 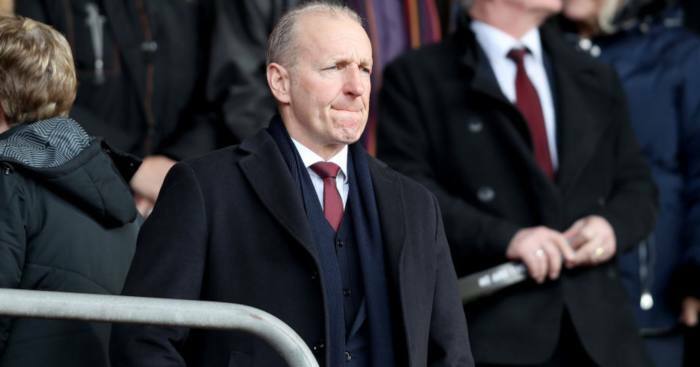 He’s overhauled preparation, tactics and personnel, and completely changed the mood of the club. So let’s get a close look at exactly what he’s done, besides Not Being Mark Hughes. A hallmark of Hasenhüttl’s style is the high-energy press, fuelled by rigorous training sessions which he described as ‘mind-blowing’ in his initial press conference. It wasn’t Hughes’ style at all, so you can imagine the players needed some time to adjust. Just how far their minds have been blown is open to question, but the stats suggest opponents have found their consciousness radically altered. In the last three matches (Everton, Crystal Palace, Burnley) Southampton’s PPDA (Passes Allowed Per Defensive Action) has been below 9.0 each time. How good is that? The league leaders for the season are Manchester City, at 8.78, with Arsenal second at 9.10. Along with the pressing goes less emphasis on possession. Under Hughes the side averaged 45.8% possession, under Hasenhüttl only 40.5%. The drop is a little bit exaggerated, because they’ve played several high-possession sides in this run. But they were happy to give both Huddersfield and Burnley the majority of the possession too, and got a positive result both times. Just let your opponents have the ball and make their lives as difficult as possible. That approach, however, means you have to keep it very tight at the back. Here’s where Hasenhüttl has largely revamped the team. With a switch from a back four to three centre-halves, out went Wesley Hoedt and in came Jan Bednarek and Jannik Vestergaard. The young Bednarek had been completely marginalised by Hughes, and Vestergaard – at 26 already an experienced Bundesliga defender – had started indifferently and seen his playing time diminish. Both have responded superbly. Playing on the right of the three, Bednarek has made huge strides in recent weeks, adding better positioning and decision-making to his natural strength and aerial prowess. And speaking of huge strides, the long-legged Vestergaard, playing on the left, has looked very much the man who was a success in Germany: strong, mobile and technical. Just as crucial has been a change in defensive midfield. 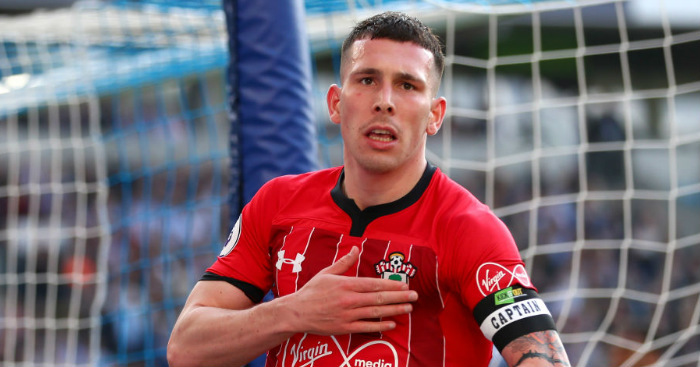 Whereas Hughes relied mostly on Pierre-Emile Højbjerg and Mario Lemina in that spot, Hasenhüttl stuck Oriol Romeu in the line-up and kept him there. Romeu is what is known as an uncompromising defender, and unlike the others, has little ambition to attack. He’s started all ten matches under the new manager, and has performed consistently and well. Just knowing he’s there makes the back line more secure. The improvement in defence has been dramatic. In the first 15 matches, Southampton allowed a frightening 1.93 goals/game. That’s dropped all the way down to 1.3 under Hasenhüttl, right about league average. But that’s not the whole story. If you look at total shots allowed, you find, amazingly, that the new Southampton are allowing more shots than the old. Under Hughes it was 13.2, but in the last ten matches it’s 15.0, which in the current table would be third worst in the league. How, then, have the side improved so greatly? By becoming Burnley, sort of. Although they’re allowing more shots, the shots are from farther out, and the defenders are getting in the way more often. Opponents’ xG/shot has dropped from .117 to .091, which itself means around 15 fewer goals allowed over a whole season. Plus, in the new system they’ve blocked an astonishing 36.2% of opposition shots (mad blockers Burnley are only at 32.7%). 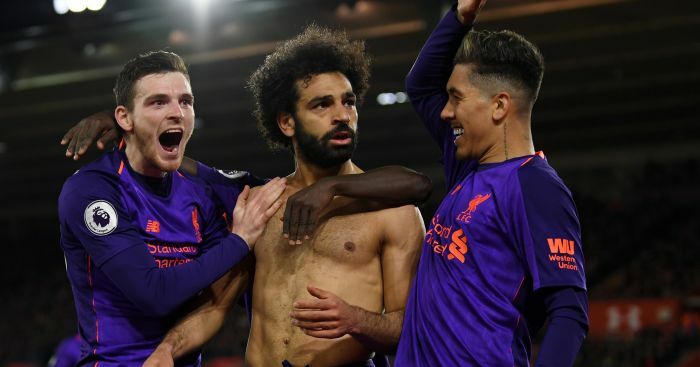 The bottom line is that opponents’ conversion rate has dropped a mammoth six percent, which for a season could mean anything from 20 to 30 goals fewer. Now let’s move to the attack, where the big change has been the move of Nathan Redmond from the wing to the centre. At first he was one of the playmakers in a 3-4-2-1, but lately he’s been the second striker in a 3-5-2. I’ve been a fan ever since his Norwich City days, and could never quite figure out why he hadn’t blossomed. Hasenhüttl figured it out immediately: from the middle Redmond has more space to run in, can use his passing skills over a wider range, and has more chances to score. He has three goals and two assists in the last ten games, compared to zero and zero beforehand. There is no quality raheem Sterling has that Nathan Redmond does not. Merely consistency. Hasenhüttl has also tailored the attack in other ways to suit his personnel. So far there’s been a pronounced bias toward the left side to take advantage of wing-back Matt Targett, the academy product finally coming into his own with Ryan Bertrand injured. Also on the left, remember, is Vestergaard, who feels comfortable moving forward to add an extra body and who can get back quickly if necessary. Again the improvement is impressive, from a paltry 0.87 goals/match to a very reasonable 1.4. But these numbers conceal something even stranger than the Burnley-ish defence. Instead of more shots, Southampton have taken fewer under Hasenhüttl. A lot fewer. It’s a drop from 15.1/match to 10.1, which in the current table is the difference between third in the league and 18th. Teams simply don’t succeed with that kind of drop. Okay, shot quality is slightly better, with the xG/shot showing a mild improvement, but even so the side’s expected goals per match under the new regime are actually lower than they were before. How is this possible? A small point is that more Southampton shots are getting through to the keeper. Under Hughes a very high 30.4% of shots were being blocked, and now it’s only 23.8%. This naturally goes along with taking slightly better shots. But it’s still nowhere near a sufficient explanation. 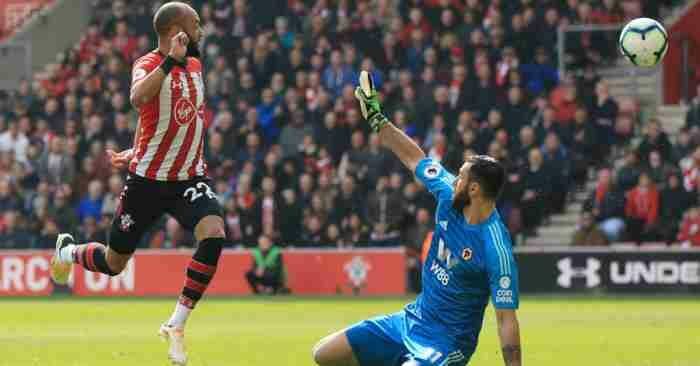 There can be only one answer: Southampton’s long long luckless shooting streak has come to an end, with a vengeance. At some point you’ve probably read about it: in recent years the Saints have used an assortment of stringed instruments and still failed to hit the bovine target. Last year their conversion rate was 8.2% and the year before 7.5%, both ranking 19th in the league. Under Hughes this season, more of the same, 8.2%. But with Hasenhüttl directing the orchestra, the cows are running for the hills. The conversion rate is (pause for effect) EIGHTEEN POINT TWO percent. The record for a single season is 17.1%. In other words, whereas in defence Southampton have distinctly improved through a clear tactical plan, in attack they’ve been vastly overachieving. Don’t get angry at me, Saints fans. That’s what the numbers say. But of course the numbers only say what’s happening on the pitch, not what’s inside the heads of the players. For all we know, the Saints’ shooting drought had become a self-fulfilling prophecy, with a series of uninspiring managers unable to boost the scorers’ confidence. Then a new man takes charge, young, thoughtful and intense, and suddenly the dam bursts. A ten-point leap in conversion rate has to involve luck somewhere, but that it happens at the exact same time a new manager comes along can be no coincidence. Ralph may not have broken the Internet, but he’s broken the ice. 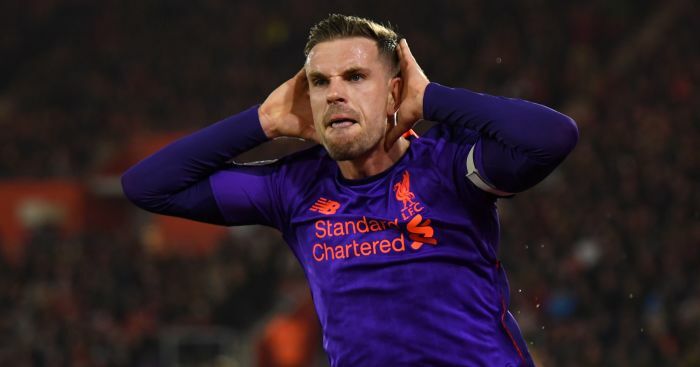 The scoring pace probably won’t continue for long, but this is a positive Southampton, a fighting Southampton, a side that beat Arsenal and held Chelsea at Stamford Bridge. And Hasenhüttl undoubtedly knows that neither he nor his men can let up for a second. A loss to Cardiff this weekend and they’re likely back in the relegation places. But it’s a new day at St. Mary’s, and if the Austrian can keep blowing minds and stats, it won’t be Goodnight Vienna for a good long time. "The players and the coach are coming together and forming a strong DNA." Urgh. Hasenhuttl admitted to blocking hotel Wi-Fi during away trips while in charge of former club RB Leipzig.